Curatescape 3 introduces a bunch of new features. 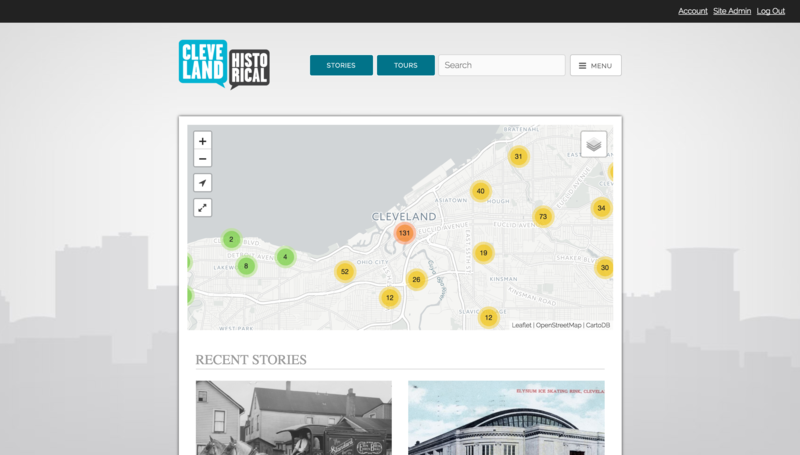 Read on for an overview of the key changes and check out the latest version of Cleveland Historical for a live preview. We’re excited to begin rolling out Curatescape 3 to new and existing projects over the next several weeks. Version 3 brings platform-specific layout, with the new tabbed navigation appearing at the top for Android, and the bottom for iOS devices, making the app feel more at home on your device. Switching from the sidebar layout to tabbed layout also makes using the app a little more intuitive, surfacing the main content instead of burying it behind a menu button. The Discover page is the new default view, offering users a more dynamic overview of the content when they open the app. Randomized featured items are highlighted in a slider, followed by nearby stories, and recent tours. Version 2 defaulted to a list of nearby stories; showing more varied content at startup will help users engage with something new each time they open the app (even if they always use it in the same location). The new and improved mapping functionality – powered by Google Maps – brings crisp vector tiles, smooth hardware-accelerated animations, 3D buildings (where available), offline functionality, and more. Try a two-finger swipe up or down to change the map’s camera angle, or a two-finger turn gesture to change the map bearing (north, south, east, west, and anywhere in between). You can also use the new buttons for showing your current location, returning to the default map position, or fitting all story locations on the screen for a full geographic overview. Maps aren’t the only feature you can use offline. Users may now opt to pre-fetch all text content using the Offline Settings option on the Discover page. We’ve also added more aggressive caching to make previously rendered images available without using more data. While browsing new images and other media may still require an internet connection, this change will be a boon to users areas where connectivity is limited or nonexistent. The Stories section can now be sorted by date (recent), proximity (nearby), or featured. Along with the new Discover page, this should make it easier for users to find new content each time they open the app. Likewise, the search functionality has been expanded to enable fulltext search for stories, tours, and individual media files. Navigating between tour locations in version 2 required going back and forth between the tour detail page and the story detail page. With version 3, users can also choose to navigate between tour locations using the Next and Previous arrow buttons in the header for the story detail page. The app is also now supported on the iPad. If you were previously running a phone-only version on your iPad, you’ll love the new full-resolution, fullscreen experience. All Curatescape metadata fields are now supported. 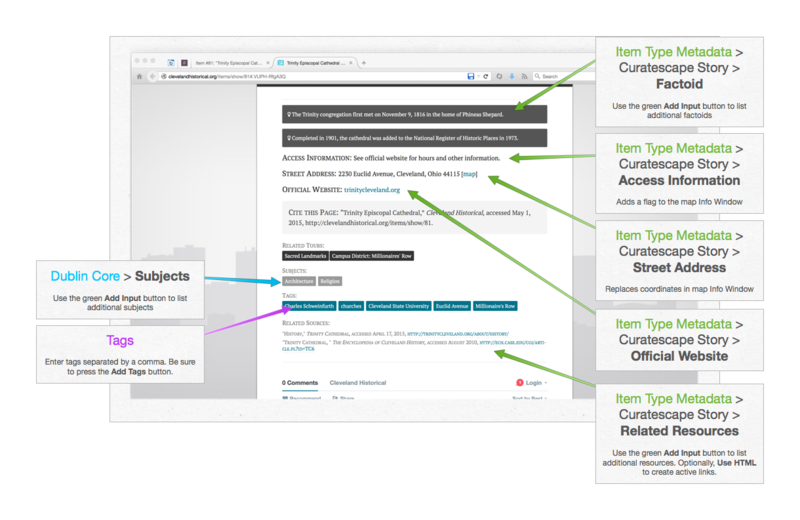 This means your Related Resource citations will finally be available at the bottom of each story. And the Lede is no longer… buried… it’s right there at the top of the story, helping to introduce your narrative. Curatescape, the John Nicholas Brown Center for Public Humanities and Cultural Heritage at Brown University, Rhode Island Council for the Humanities and the Rhode Island Historical Society invite you to save the date of October 11-12, 2018 for an unconference devoted to Curatescape. The unconference will kick off with dinner on October 11, followed by sessions all day on October 12, and it will be held at Brown University in Providence, Rhode Island. Who is invited to attend? All Curatescape Licensees + any and all other individuals who use Curatescape for digital curation projects, or are interested in learning more about Curatescape. What is an unconference? An unconference is a lightly organized conference in which participants propose and facilitate sessions. Unconference sessions are meant to be free-flowing discussions, not presentations of one person’s work or point of view. Each session should be like the best college or graduate school seminar: dynamic, collaborative, thought-provoking and fun. The best sessions are often built around questions or challenges, rather than presentations of finished work. This video, called “Unconference 101,” gives an overview of how it works. What can I expect to learn at this unconference? Expect to learn about work that others are doing using Curatescape, the challenges they have encountered, and the projects they have planned; connect with other researchers, program managers and curators in the public humanities, digital humanities and public history from around the country; and hear from members of the Curatescape project team whose continued work enables the range of projects that depend on Curatescape. When can I register and propose a session? By June 15; we will send out an email when it’s up! Registration is now open. Visit the event website at blogs.brown.edu/curatescape. We have reserved a block of hotel rooms in Providence at a discounted rate and will have that information on the website when it launches. Contact Marisa Angell Brown (marisa_brown@brown.edu) for more information! The latest version of the Curatescape theme for Omeka was released yesterday. 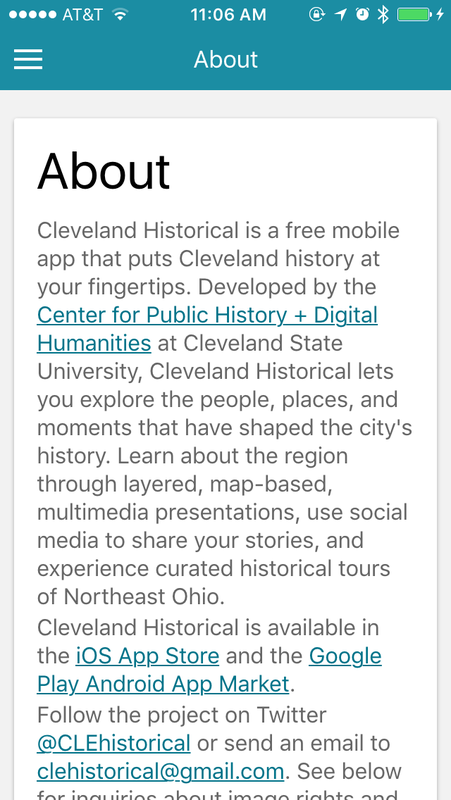 The new design is currently live on clevelandhistorical.org and will be rolled out to existing users in the coming weeks (open source users can grab a copy from Github). The theme will look familiar to some, but includes a number of key changes and a ton of improvements that make it more than a simple design refresh. The front end has been almost entirely rewritten, with much cleaner markup, more consistent styling and typography, more semantic structure, and vastly improved accessibility, loading times, and overall page size. We think you’ll like it. We’re pleased to announce that we’re almost done rolling out some big changes to Curatescape, including a totally redesigned app framework, as well as some nice improvements to the maps on Curatescape websites. We’ve redesigned Curatescape from the ground up, giving the apps a fresh modern look that fits right in with modern design conventions for iOS and Android. Clients now have a number of options for styling and customizing their apps to better express their project’s brand identity. 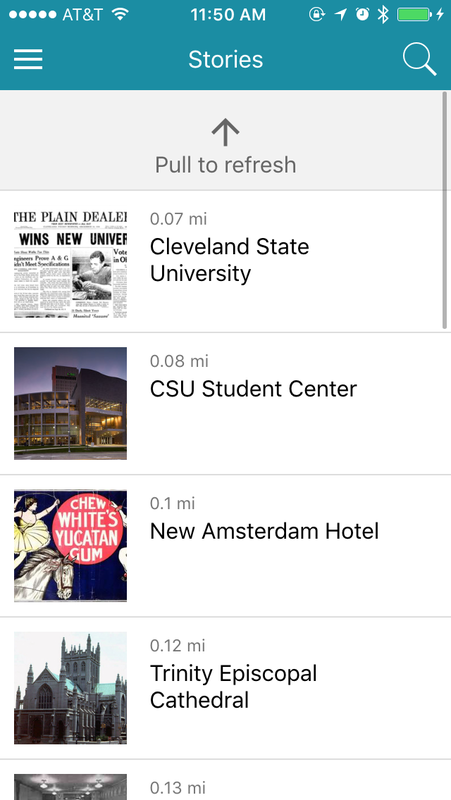 The map is still a big part of the apps, but now it’s not the only way to find nearby stories. Users are now welcomed with a text-based list of the closest stories (including an indication of how far away they are from each location), making it much easier to browse and scan results. We’ve even included pull-to-refresh so users can easily get a new list of stories as they move around the city. 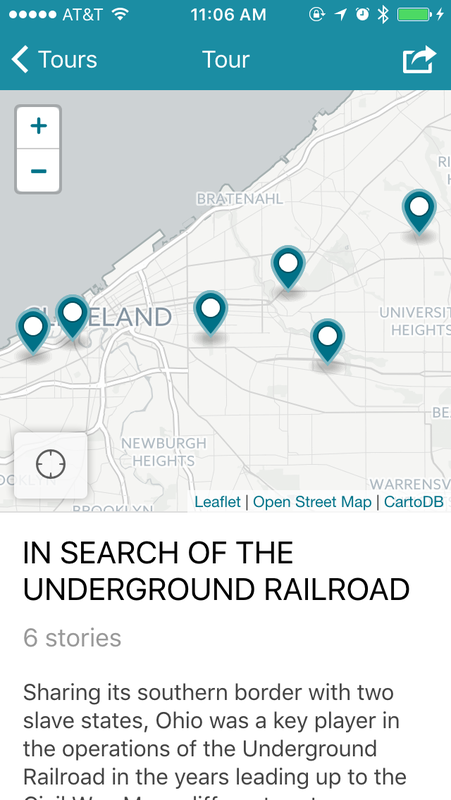 Speaking of location, the newly-designed map includes customizable markers, image-enhanced info windows for each location, and runs on Open Street Maps data. The reading experience is similar to the view in the older iOS apps but much improved, and with a heavier emphasis on beautiful images. It also includes more of the custom fields found on Curatescape websites, including subtitles, author bylines, sponsorship, street address, and more. 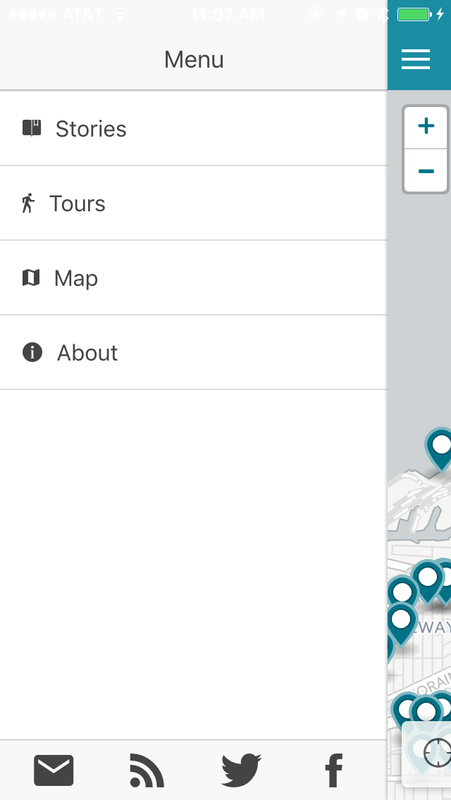 Tours now have an interactive map that displays each location on the route, which was a frequent request from our users, who have long enjoyed that feature on the project websites. The about page now includes live data from your website, rather than the static image that appeared in the old apps. The new sidebar menu also contains prominent links to each project’s social media accounts and contact info, giving users a direct link for feedback and further engagement. 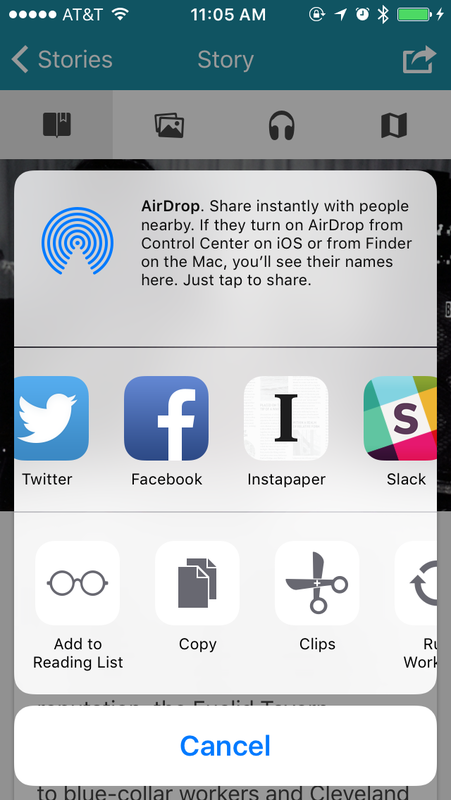 The apps now use system-standard sharing options, meaning users can share your stories on any platform that runs on their phone instead of just the ones we choose. 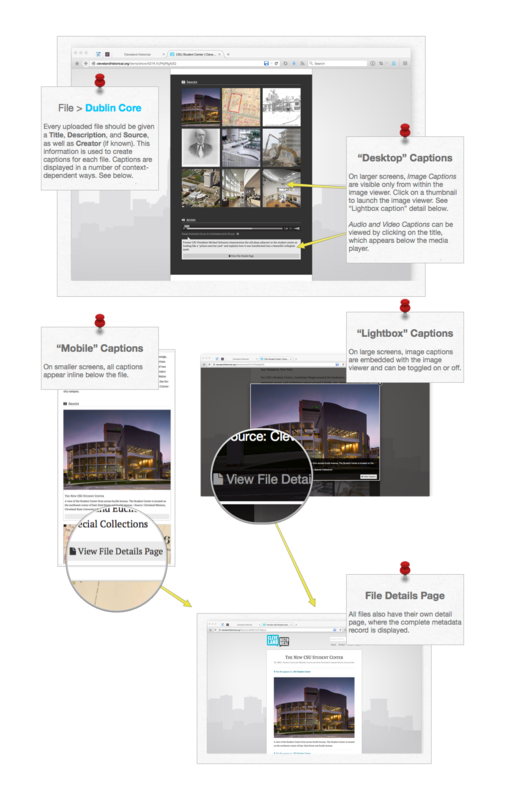 Overall, the performance, reliability, and design of the Curatescape apps are all much improved from earlier versions. Nevertheless, there’s always room for improvement. By starting over from scratch, we’ve shed a lot of baggage and given ourselves a platform that we can build upon over time. We’re really excited to be rolling out these changes for our existing clients and look forward to deploying quite a few new projects in the coming year. If you’re interested to know, the technologies and tools used to create the new apps include Apache Cordova, Ionic, Geolib, Maki Markers, OpenStreetMap, Leaflet, and of course Omeka. We love open source software and want to share our gratitude for the great work done by everyone involved in these projects! In addition to the big changes to the Curatescape apps, we’re also working on some cool updates to the Omeka theme. 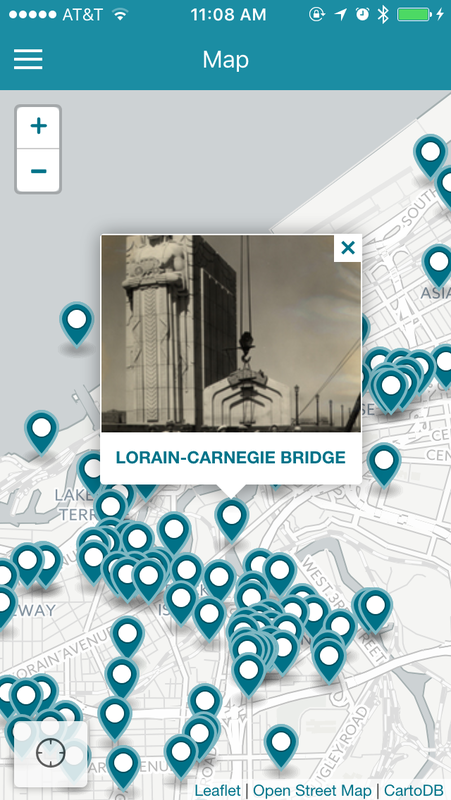 Check out the video below (or visit clevelandhistorical.org) to preview the new marker clustering feature. Oh no! Your browser does not support HTML5 video. We’ve updated the maps to use Open Street Maps data, incorporating beautiful high-resolution tiles from CartoDB, customizable vector markers from Mapbox’s Maki icon set, and all new theme options to control the color and styles of your map. The clustering feature is configurable for each project (and can be turned off altogether if it’s not right for your content). We’ve switched to the Leaflet mapping library, which allows us to create lovely custom info windows, so that when users click on a marker, they get a nice big image preview. Importantly, these improvements didn’t add to the overall page load (in fact, we’ve trimmed it down a bit). Stay tuned for more in the coming year as we continue to improve Curatescape! We have updated the Curatescape wiki with additional information about the new theme and content structure. This information will be of interest to new and prospective users, as well as users updating to the new format. 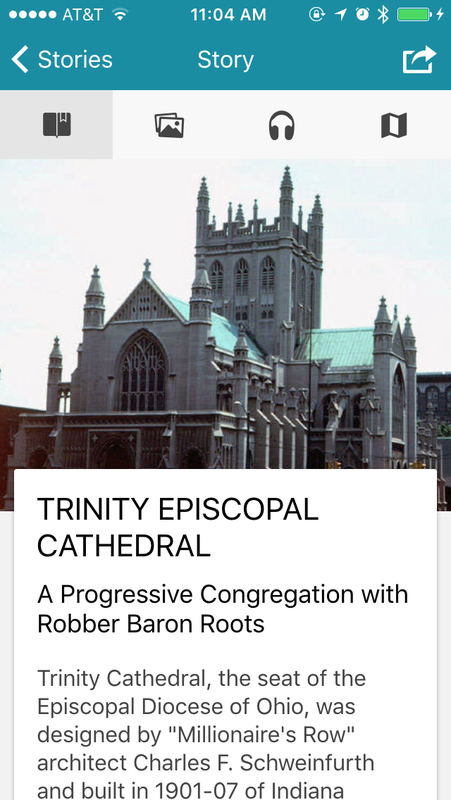 Curatescape project Salt River Stories this weekend became the first in a series of planned partnerships with Google and Niantic Labs, in which geolocated historical stories will be made available in the Field Trip mobile app. While individual Curatescape projects will continue to have their own website and mobile apps, we are excited to begin sharing select works through additional venues such as Field Trip, bringing the work of participating Curatescape partners to an even wider audience. The data sharing process is accomplished seamlessly and automatically via an Omeka plugin which Curatescape project administrators may add to their site after making formal arrangement with the Field Trip team. 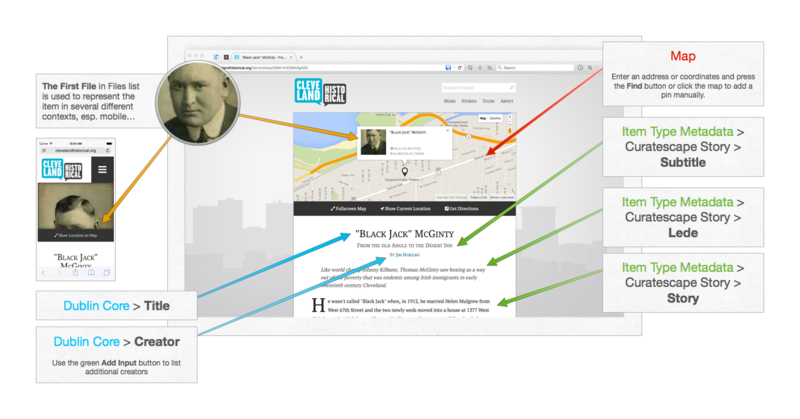 Each story shared in Field Trip is linked back to the original source on the web. Field Trip users are encouraged to view additional info and media on the source Curatescape website (where they will also be encouraged to download the project app), helping Curatescape projects to reach a broad new audience. 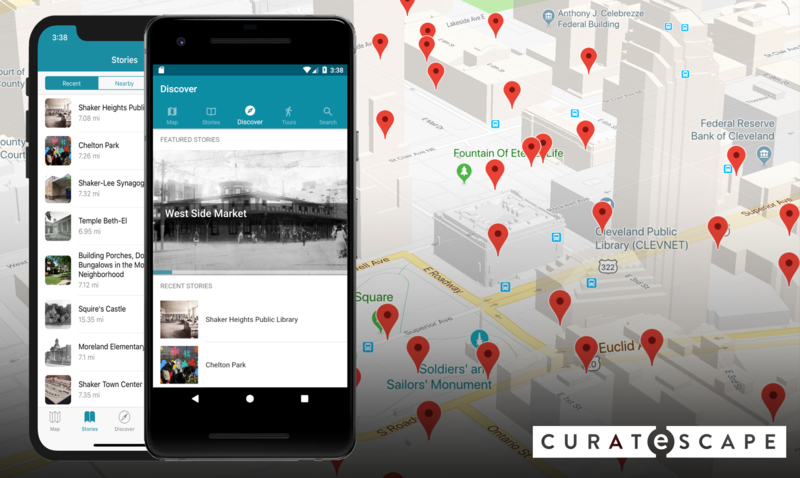 Curatescape is a web and mobile app framework for publishing location-based content using the Omeka content management system. Curatescape is an affordable and user-friendly solution that allows small to mid-sized cultural organizations, preservation groups, or educational institutions an opportunity to reclaim their interpretive voice and reconnect to their communities and audiences.